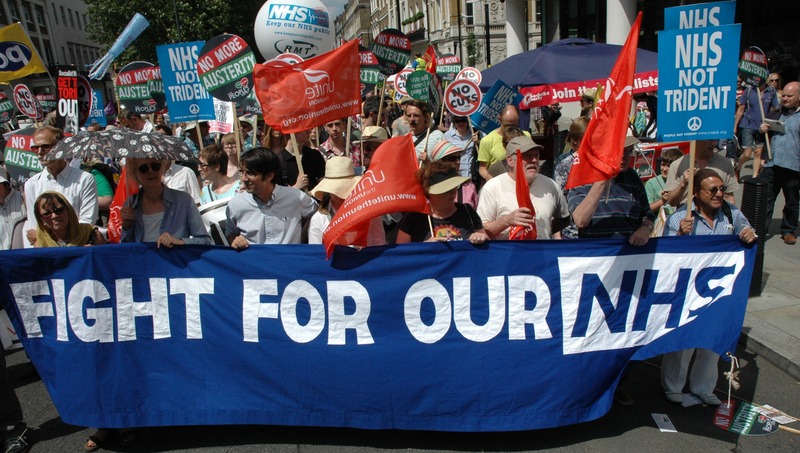 Thousands of people – including NHS workers, union representatives today marched in London to protest against the cuts facing the health service. Protesters on the #OurNHS march wanted to draw attention to plans which could see hospital services in nearly two-thirds of England cut back. The Department of Health claims it is investing an extra £4bn in the NHS. Organisers say that “at least 360,000” people took part in the march, which began in Tavistock Square and ended in Westminster, where speakers including Labour leader Jeremy Corbyn addressed the crowd. Mr Corbyn called for the government to provide more funding for the health service in next week’s Budget. He added: “The NHS is in crisis, in crisis because of the underfunding in social care and the people not getting the care and support they need.